Bilal Memon memorized the Qur’an at the age of 11, but he forgot his memorization when he was in college. A busy, hectic life in New York made him believe that he didn’t have “enough time” to keep up with his memorization revision. After challenging himself to re-memorize the Qur’an and achieving that goal in six months, Bilal realised that the real struggle is with motivation, not with time. In this article, Bilal shares the first essential step to fuel your motivation and solidify a daily Qur’an memorization habit that is easy, fun and productive. Is memorizing a new surah one of your Ramadan goals this year? If yes, Alhamdulillah! Whatever your level of ability, and whatever your Qur’an memorization goal, I’d like to help you achieve your goals with a 7-step process that we at Quran Academy have released alongside our new Qur’an memorization app, ”Quran Companion”. In this article, I will outline the first essential step of this process that will fuel your motivation so you can reach your Qur’an memorization goals productively. Simply put, a sincere intention is when it is done for the sake of pleasing Allah . This is an important prerequisite in anything a Muslim does. However, it’s all too easy for this intention to just become lip service. So the next step is having clarity on what the sincere intention of pleasing Allah actually means to YOU and how it looks like for you on a day-to-day basis, which will transform a sincere intention into a purposeful, internalized intention. a) Ask yourself: Is this for the sake of Allah ; is this action something that Allah has commanded of me? 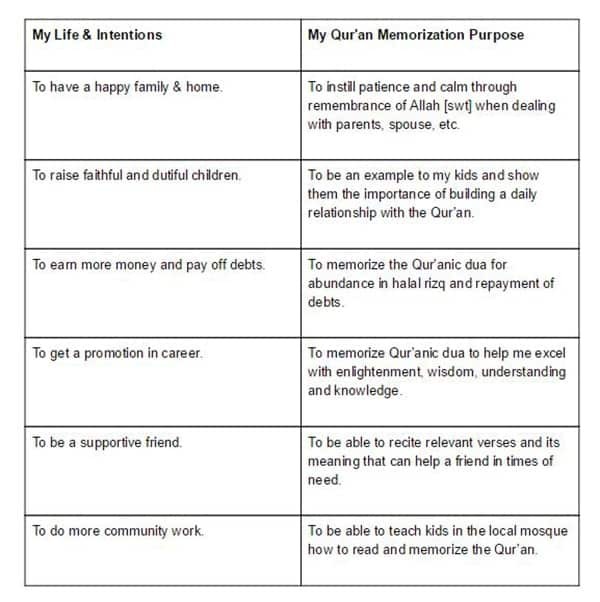 If you would like to continue with the remaining steps, you can get our free ebook along with a 7-day trial of “Quran Companion”, a Qur’an memorization app with revolutionary learning, gamification and social features to further fuel your motivation by making Qur’an memorization fun, socially motivating and productive. Let your heart find peace in the certainty that memorizing the Qur’an has been made easy for anyone who makes the decision to remember. 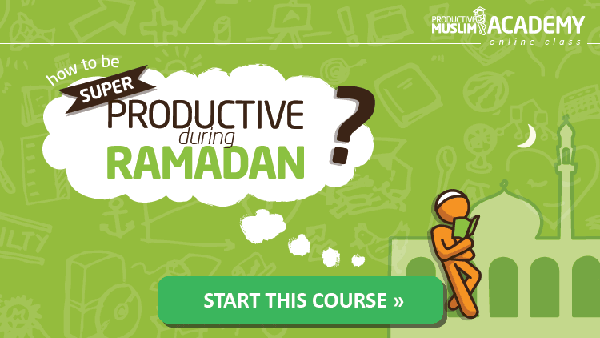 And let’s achieve your Qur’an memorization goals in this blessed month to make it a truly productive Ramadan! Have you used Qur’an Academy and Qur’an Companion? Let us know your experiences below! 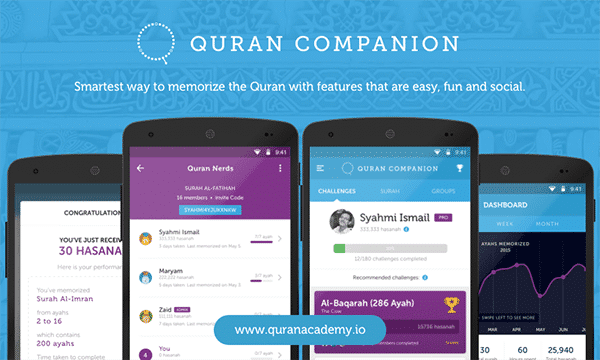 Quran Academy has released a revolutionary Qur’an memorization smartphone app, “Quran Companion”, which is packed with progress analytics, learning technologies, fun challenges, games and social features to keep you motivated in your memorization. “Quran Companion” is now available on Google Play Store for Android. “Quran Companion” for iPhone will be released on the Apple Store before Eid Al Fitr 2016, in the last week June 2016. Sign up here to be notified of the iPhone release. Bilal Memon is a Quran Hafidh and a business & app developer. As a serial entrepreneur, he has built both B2B & B2C startups and has global experience in working, participating and scaling startup accelerators and venture capital. He is passionate for how technology can solve many problems and make life easier in various aspects of life, from education to healthcare to financial services, spirituality, and more.